Welcome to the Drei Staaten Gruppe (Tri State Group) website. Stan Yarrish is the current website moderator and content manager. But, as with any club, ultimately the quality of this website will depend largely on all of our member’s participation, so please send me any and all information, photos, updates etc., regarding your life as a vintage Porsche enthusiast, and we’ll find a place for it on the Web. Also, as we continue to develop our New Word Press website, I will be looking for other content editors who would like to help manage the website content and capabilities…. 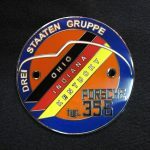 The Drei Staaten Gruppe was founded in 2003 for Porsche 356 enthusiasts in the Indiana/Kentucky/Ohio region. 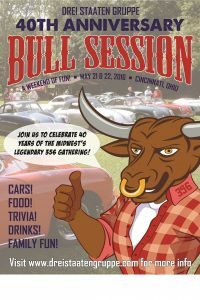 The “Tri State Group” has recently recognized that we are more than a group of Porsche 356 owners and enthusiasts. As such we welcome owners of all “air cooled” Porsche’s to become part of our club and it’s expanded focus. However it not a requirement to own a Porsche to belong to our club. All interested in the early Porsche’s are encouraged to join. 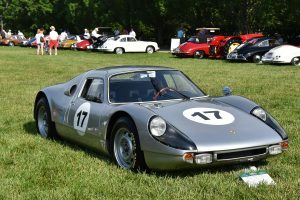 The club, which currently has approximately 75 members, maintains a Web site and hosts a range of Porsche-related events and meetings. The club is both social and fosters the preservation, upkeep, and driving of these “air cooled”Porsches. Members attend many regional and national events that support the enjoyment of these early Porsche models. It is not necessary to own one to become a DSG club member. Many of our members also own early 911’s, 914’s and we welcome them as part of this vintage Porsche enthusiasts club.